If you picked up the Fall issue of Charleston Home + Design magazine, you may have seen a familiar face! 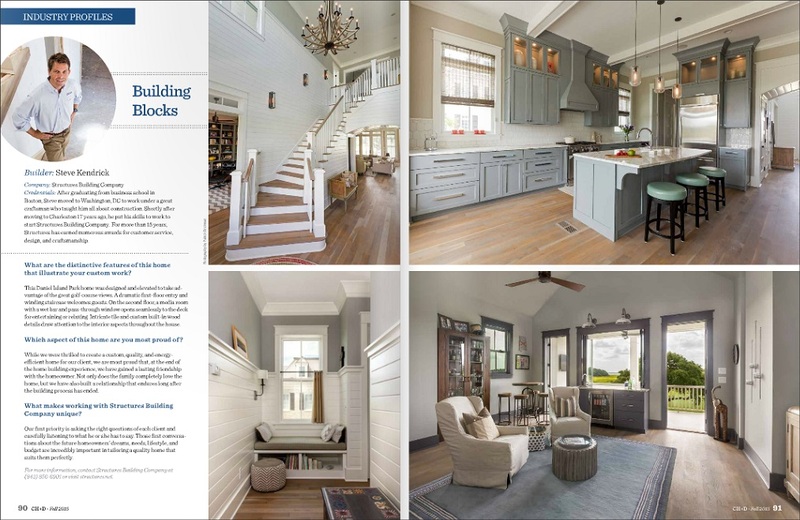 Structures Building Company and owner, Steve Kendrick, were in the spotlight in the magazine’s Building Blocks feature. In the article, Steve shares a bit about his career path in the construction business and what sets Structures apart from other custom home builders. The feature also includes a few snapshots of a custom home we recently completed in Daniel Island Park and details how important building lasting client relationships is to our team. To read the full article and view the magazine online, click HERE.